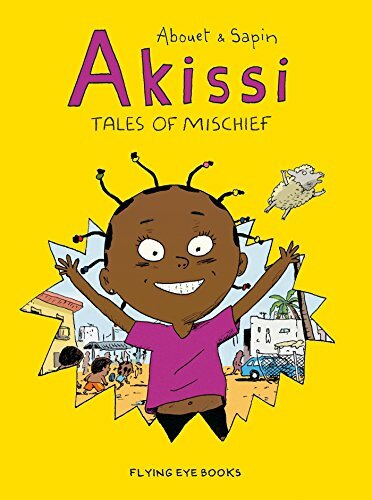 Akissi: Tales of Mischief brings together all the hilarious and heartfelt Akissi comics by Marguerite Abouet, the award winning author of Aya of Yop City. Poor Akissi! The neighborhood cats are trying to steal her fish, her little monkey Boubou almost ends up in a frying pan and she's nothing but a pest to her older brother Fofana... But Akissi is a true adventurer, full of silliness and mischief and nothing will scare her for long! If you have any questions about this product by Flying Eye Books, contact us by completing and submitting the form below. If you are looking for a specif part number, please include it with your message.